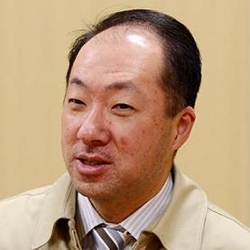 Leader of the sound division of Nintendo EAD, Koji Kondo is an iconic figure widely known for his soundtracks to Nintendo’s Super Mario and The Legend of Zelda franchises. Born on August 13, 1961 in Nagoya, Koji Kondo first enjoyed music while learning to play the Electone organ from the age of five. Having pursued the instrument into his teens, he improved his skills in a cover band that played jazz and rock music — mainly the songs of Deep Purple and progressive rock group ELO — though he chose not to grow his hair like his fellow band members, always mesmerised by the music rather than the image. Kondo also looked out for the music of movies, finding the melodies of Henry Mancini particularly inspirational, and regularly played LCD and arcade games. Like many of contemporaries, Koji Kondo planned on becoming a game musician or, in fact, a musician at all. He studied at the art planning department of the Osaka University of Arts, only composing and arranging pieces in his spare time. During his senior year, Nintendo sent a recruitment message to Kondo’s university stating that they were interested in employing people dedicated to composition and sound programming. Given his background, Kondo was interested in the opportunity to compose for video games and, in a ’lucky break’, successfully applied for the job in 1984 without requiring any demo tapes. As the first person hired by Nintendo for the specialised purpose of creating compositions, Kondo was to play an integral role making the company’s games and music globally recognisable. He quickly gained expertise at Nintendo working on Arcade games on the projects Golf and Punch-Out. Despite creating very little music, he quickly gained experience overcoming the challenges of sound design. Given the Famicom had become popular in Japan, Kondo was assigned to exclusively compose for the console’s subsequent games at the company’s new development team Nintendo EAD. Kondo initially wrote an instruction manual on how to program Japanese popular music into the Famicom using the peripheral Famicom BASIC and also created sound effects for Soccer andKung-Fu. To conclude his first year at Nintendo, he created the music Devil World, but the score was little more than a collection of jingles. In 1985, Nintendo marketed the Famicom overseas under the name the Nintendo Entertainment System, monopolising on the video games crash that devastated the Atari. 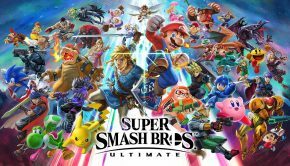 The hit releases Super Mario Bros. and The Legend of Zelda helped the console to sell 60 million copies in total — more than any other console to date — and, in the process, established the game industry’s most well-known melodies. The best-selling video game of all time, 1985’s Super Mario Bros., was Koji Kondo’s first major score. The four minute soundtrack was created so that short segments of music could be endlessly repeated during the same gameplay without causing boredom. As a result of the massive limitations of the NES console, its score could only feature three channels of music at one time, designated to melody, harmony, and percussion. However, Kondo was able to disguise repetition through employment of unforgettable melodies. His melodic flair proved so strong that the soundtrack to Super Mario Bros. is, even to this day, unparalleled in terms of its worldwide recognition as a video game score. In fact, the Latin-influenced main theme is iconic in popular culture in general: it has featured in over 50 symphonic concerts, become a best-selling ringtone, and been remixed or sampled by various bands, several popular artists, and hundreds of amateur arrangers. The title’s minimalistic underworld motif, carousel-like underwater music, and various fanfares also emerged as instantly recognisable. Achieving so much out of very little, the score forSuper Mario Bros. complemented the game, helped to characterise the fun nature of Nintendo’s games, and became hummed and whistled by millions. Kondo’s music has also been a defining component of The Legend of Zelda series. Initially released on the Famicom Disk System in 1986, the original game was a difficult and time-consuming project to score, given gallant music had to be created using a small number of sounds. Though Kondo only produced four main pieces of background music, they each helped to define the mood of their locations. The overworld theme provided the prime example of the more mature style of the Zelda franchise and became as iconic as the Super Mario main theme, at least among mainstream gamers. Kondo emphasised the overworld music’s importance by arranging it into the game’s heroic title theme as well; he actually did this in one exhausting evening after the unfortunate revelation that the music originally intended for this purpose — an interpretation of Ravel’s Bolero — remained under copyright. He adapted the music for its overseas version on the NES, using delta modulation to preserve the sound effects. Following this success, he explored his stylistic diversity further on two Japanese exclusives. The artist demonstrated a more mature and emotional side with his traditional Japanese score for Shin Onigashima, between offering some adventurous rock-influenced melodies on Nazo no Murasame Jo. Firmly established as Nintendo’s main composer, Kondo returned to the Super Mario series to produce several ambitious scores. He created some tunes for the platformer Doki Doki Panic, later adapted to the West as Super Mario Bros. 2; despite the transition from disc to cartridge, he preserved the sound effects of the localised version by using delta modulation. 1988’s Super Mario Bros. 3 combined classic arrangements with diverse themes to represent the game’s eight worlds, several catchy new overworld themes, and more serious efforts to represent fortresses and bosses. He found the prospect of creating a successor to Super Mario Bros.’s overworld theme daunting, opting for a reggae-inspired theme. The artist also provided a delightful score for the Super Nintendo’s first title Super Mario World. Kondo wanted the melodies to be remembered by listeners, despite the music changing scene by scene, most of the level themes were diverse arrangements of the same melody. Wanting to uniquely define game music, his arrangements often featured unusual combinations of instruments that hybridised traditional game technology with new timbres. The score was commemorated in two productions by Koichi Sugiyama, a jazz arrangement album and a performance at the first Orchestral Game Music. Kondo also remained active in the Zelda franchise despite being too busy to work on The Adventure of Link and Link’s Awakening. His work on 1991’s A Link to the Past developed his fluid relationship with Shigeru Miyamoto — designer of the Mario and Zelda series and head of Nintendo Entertainment Analysis and Development. Kondo depended on the visual inspiration of Miyamoto to accurately portray each setting, but only asked for feedback after completing compositions. His senior gave him freedom, autonomy, and, where necessary, criticism. This unique approach allowed Kondo to overcome the constant challenge of creating music to reflect the Zelda series’ environments. Though A Link to the Past’s overworld was influenced by European settings, it was nonetheless alien to everybody — geographically diverse, split into two parallel worlds, and dominated by dark dungeons, mystical caves, and a grandiose castle. Kondo actively researched a wide range of musical styles in order to represent the game’s diverse and unfamiliar environments. He integrated and often combined various genres into the score’s compositions while exposing amazing melodies. Some of the themes he introduced, such as the Hyrule Castle, Kakariko Village, Zelda, and Ganondorf themes, have become popular mainstays of the series. During the later years of the Super Nintendo, Kondo explored various facets of game sound production. Keen to continue pushing the technological boundaries of the console, he programmed the music and sound effects of Pilotwings and SimCity. In 1993, he also created the relatively realistic sound effects on the space shooter Star Fox using the console’s internal sound source. 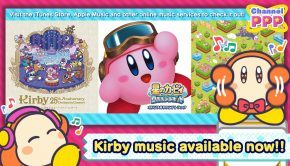 No longer the only musician at Nintendo EAD and busy with other commitments, he elected that new recruits Soyo Oka and Hajime Harisawa score these titles. Nevertheless, he took a supervisory role throughout these productions and continued to lead his sound team in such a way on numerous subsequent projects. Several years later, he created an especially compositionally and technologically accomplished score for Yoshi’s Island. Released towards the end of the Super Nintendo’s life cycle, the soundtrack was much more elaborate and diverse than its predecessorSuper Mario World. To complement the island setting, Kondo demonstrated particular flair with Caribbean stylings throughout, but supplemented the release with several orchestrations. Kondo’s iconic themes were also used, without credit, in the television shows and 1993 film dedicated toSuper Mario Bros. The stylistic diversity of Koji Kondo’s Nintendo 64 scores provides the most impressive symbol of his musicianship. He once again created scored the console’s first game, 1996’s Super Mario 64. He accompanied the various levels with imaginative music influenced by numerous cultures — ranging from Bom-omb Battlefield’s lively brass-led jazz and Dire, Dire Docks’ watery synth chillout all the way to Lethal Lava Land’s abstract Indian-influenced polyrhythms and Big Boo’s chorus-dominated ambience. His interpretations of Super Mario Bros. main theme and underworld theme were unlikely percussion-dominated creations, while the climactic battles with Koopa were underscored by heavy metal and organ counterpoint. Despite the tremendous diversity of the score, he still carefully ensured each theme fitted the worlds they were used in. His one attempt to create a level theme without game prototypes was a mismatch — he wrongly envisaged Snowman’s Land to be a relatively laid-back level so had to scrap an ambient theme in favour of a lively action piece. Subsequently, Kondo worked on Star Fox 64 in a composing role alongside Hajime Wakai. This unique addition to his discography featured serious pseudo-orchestral music influenced by Hollywood science-fiction scores. Kondo’s most ambitious solo work is 1998’s The Legend of Zelda: Ocarina of Time soundtrack. A significant challenge was to create music that reflected the unity and diversity of Hyrule. Locations, dungeons, individuals, and races were far more individually characterised and elaborately presented than on A Link to the Past. Thus it was necessary for Kondo to express great stylistic versatility and individuality while maintaining a fantastical and adventurous overall sound. The score was carefully integrated into the game using adaptive scoring techniques. The theme for the vast overworld, for example, was varied according to time of day, Link’s motion, and whether an enemy was approaching; Kondo achieved this interactivity by building a theme upon a series 15 second segments, featuring related chord progressions, and allowing complex algorithms to determine the order the segments are played. Furthermore, Kondo’s unforgettable ocarina melodies and orchestrations were prominently integrated into the gameplay and storyline. The score to Ocarina of Time’s sequel, 2000’s Majora’s Mask, brought a Chinese-operatic influence to reflect a malevolent mask’s impact on a parallel world to Hyrule. Though arguably Kondo’s darkest and strangest work, it was largely musically continuous with its predecessor and directly ported over several dozen often trivial compositions. Since Majora’s Mask, Kondo has focused his attention on leading the large resident sound team at Nintendo Entertainment Analysis and Development’s headquarters at Kyoto. 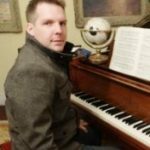 His team is responsible for the composition, sound effects, and sound programming for the various Super Mario, Mario Kart, Zelda, Pikmin, Animal Crossing, and Nintendogs titles, among others. Kondo hired its current members — Kazumi Totaka, Kenta Nagata, Hajime Wakai, Toru Minegishi, Ryo Nagamatsu, Shiho Fujii, Manaka Kataoka, Atsuko Asahi, and Satomi Terui — to enhance the productivity, quality, and versatility of Nintendo’s sound production. In part due to Kondo’s notoriously critical feedback, the team continue preserve his principles for creating strong game music — offering fun melodies, stylistic diversity, and in-game interactivity. Kondo also advocated two Nintendo-only concerts. 2002’s Smashing… Live featured symphonic arrangements of a variety of Nintendo music performed by the New Japan Philharmonic while 2003’s Mario & Zelda Big Band Live was dominated by live jazz, Latin, country, and bluegrass performances of his music and included performances and announcements from Kondo. Kondo has also attended celebrations of his music at Press Start: Symphony of Games, Video Games Live, PLAY! A Video Game Symphony, and the Symphonic Game Music Concert series. Though Kondo takes a small supervisory role in most productions, he has worked directly on the last decade’s Super Mario and Zelda scores. The composer took a large composition role for the last time on his career on the GameCube’s Super Mario Sunshine in 2002. He portrayed the tropical setting of the game with highly melodic setting themes, including the folk-influenced background music for Delfino Plaza, while his collaborator Shinobu Tanaka created most of the event and ambient music. For the DS’ New Super Mario Bros. two years later, Kondo created a hummable overworld theme for the title in the spirit of past titles in the series. He closely supervised the lead composers on the title, Ota and Wakai, to ensure the game sounded impressive despite the console’s small speakers. He also took supervisory roles on the era’s main Zelda scores, Nagata’s The Wind Waker and Minegishi’s Twilight Princess, emphasising his desire that the titles combine unique worldly sounds with the series’ characteristic flavour. In addition, he supplemented the former with a handful of sentimental event themes and created the prototype orchestral piece for the latter, setting precedent for the company’s subsequent orchestral recordings. Embracing the opportunities of the Wii, Kondo had an important role on the influential score for 2008’s Super Mario Galaxy. He once again created a prototype orchestral piece for the game, which served as a reference for the lead composer Mahito Yokota, and contributed the themes for the first galaxy and observatory in the final product. To capture the galactic scope of the game, much of the score was recorded with live performers for the first time in the company’s history. However, the series’ melodic flavour and trademark themes were preserved to great popular approval. With his music continuing to set the bar at Nintendo, he headlined the arrangements onSuper Smash Bros. Brawl with a piano adaptation of Super Mario Bros. 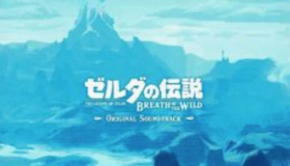 In further scattered guest roles, Kondo offered a soft reflective ending theme on The Legend of Zelda: Spirit Tracks, three sophisticated yet catchy setting themes on Super Mario Galaxy 2, and the retrospective opening theme for The Legend of Zelda: Skyward Sword. Due to his large administrative and supervisory responsibilities, the exhausted musician submitted his tracks just before the deadline on most of these titles. He regretted that he was unable to compose more for such projects and many others. In addition to his supervisory and composition roles, Kondo has helped to pioneer some recent technological innovations at Nintendo. He was closely involved in the music game Wii Music and was chiefly responsible for the title’s song selection, controversially focusing on public domain songs. Kondo and his sound team also helped to design the 3DS system’s speakers and amps, optimising sound quality within the size constraints. To showcase the console’s superior specifications, he oversaw the arrangement and manipulation of his score for The Legend of Zelda: Ocarina of Time for its 3D remake. In addition, Kondo recently helped to commemorate the 25th anniversaries of Nintendo’s iconic series – selecting music for a special album bundle withSuper Mario All-Stars and making rare guest appearances at The Legend of Zelda’s orchestral anniversary concerts. He also offered a special piano medley of Super Mario Bros. to close Play For Japan: The Album, dedicated to relief efforts following the Tohoku Earthquake 2011. He has otherwise focused on managing and supervising Nintendo EAD’s every-expanding sound team and their scores. Nevertheless, Kondo has stated in several interviews that – like his fans – he hopes he’ll one day lead a full score again. Kondo is an iconic figure with hidden depth. He has overseen the sound development of a major company, composed for the launch titles of five of Nintendo’s consoles, and created the two most famous video game melodies of all time. He has provided characteristic sounds that not only defined the Zelda and Mario series, but, to a certain extent, Nintendo and video games in general. The number of games, albums, compilations, and concerts featuring his Mario and Zelda works reflects his massive legacy and he remains the only video game composer to ever significantly affect popular culture. While largely known as a two franchise composer, he has composed for numerous other projects and influenced the scores for many others. In particular, his diverse and refined works on behalf of the Nintendo 64 contradict criticisms that his musicianship is particularly superficial and his emphasis on increasing interactivity of video games with Nintendo’s music is also progressive. Kondo remains an ambitious musician. 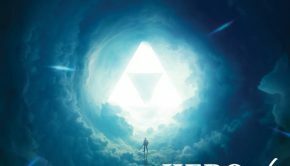 With Skyward Sword, for instance, he fulfilled his dream that a Zelda title wiould use live performances throughout — utilisin a full orchestra to capture the big action scenes and an intimate string quartet for more lyrical moments. As head of Nintendo EAD’s sound team and one of Shigeru Miyamoto’s most trusted employees, Kondo will continue to influence the development of game music while overseeing his employee’s scores for the Wii U and 3DS. © Biography by Chris Greening (November 2007). Last updated on December 30, 2012. Do not republish without formal permission.